False arrest is an unlawful arrest made without a warrant or probable cause. Both the Fourth and the Fourteenth Amendments of the U.S. Constitution were designed to protect citizens against this abuse of power. As such, if you were falsely arrested, you can file a lawsuit under 42 U.S. Code § 1983. In Colorado, false imprisonment is a common civil rights complaint, and victims can sue for a variety of damages. 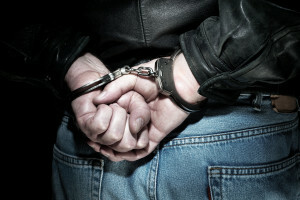 If you were falsely arrested in Denver or the surrounding areas, find justice with the aid of a leading Colorado false arrest attorney at the Civil Rights Litigation Group. This is certainly not an exhaustive list of potential situations. As a general rule, if you feel that you are being arrested for a non-legal reason, you should consider consulting with a civil rights lawyer. False arrest is a violation of your Constitutional Rights, including the 4th Amendment right against unreasonable seizure of persons. A person who is arrested without probable cause can bring a civil action against the officer under 42 USC § 1983 for false arrest. The critical issue in this type of lawsuit, however, is the absence of probable cause. If the police officer did not have probable cause to arrest you, you may have a claim. It is very important to note that if you plead guilty to a crime and then later found out that you had been wrongly arrested, the court can legally throw out your lawsuit and you cannot sue for damages. Furthermore, false arrest cases can be highly complex, especially if the defendant is a police department or township. You can, therefore, benefit from the legal guidance and representation of an esteemed false arrest attorney. With extensive experience in the Denver, Colorado area, the Civil Rights Litigation Group is fully prepared to take on your case and aggressively pursue the responsible individual(s). For a consultation with our false arrest attorneys, call the Civil Rights Litigation Group at (720) 515-6165.